Outstanding Gulf Front duplex in desirable Eastern Lake area off County Hwy 30A. Dolphin Watch is appropriately named, with gulf views from every room. This property offers the best of easy beach living with ultimate privacy. The beach house is at the dead end of secluded Eastern Lake Road. 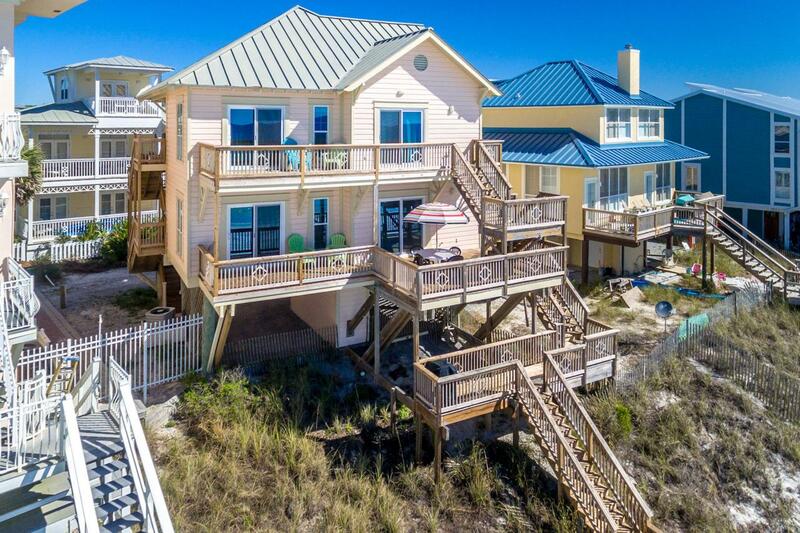 Walk out your private beach boardwalk onto the sugar white sand of the Emerald Coast. Just a short walk down the beach is Eastern Lake, one of the 15 rare Coastal Dune Lakes in South Walton County--and only found in a handful of places in the world. The interior and exterior of this duplex have been very well maintained, and some major updates have already been made, such as new decking, new AC units, and more. This beach house only needs a few cosmetic updates to become an ultimate beachfront getaway!